Hip replacement surgery. 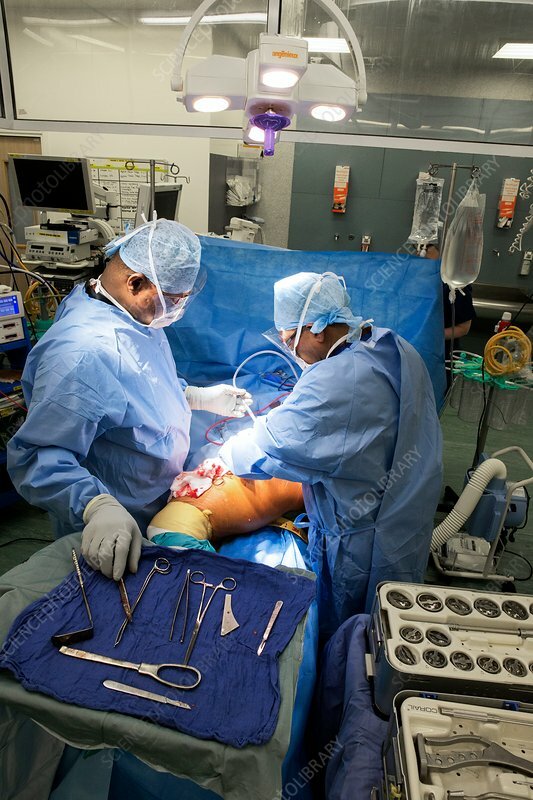 Surgical team carrying out surgery to replace a patient's hip joint. Some of the tools being used are at lower left. The operation involves removing part of the joint and replacing it with artificial parts (prostheses), some of which are at lower right. Photographed in the UK.